Our C203 Cases (view product) are not only pleasing on the eye, but they make for the perfect carry case for small objects such as Air Pistols, which is the reason one of the customers made the purchase. 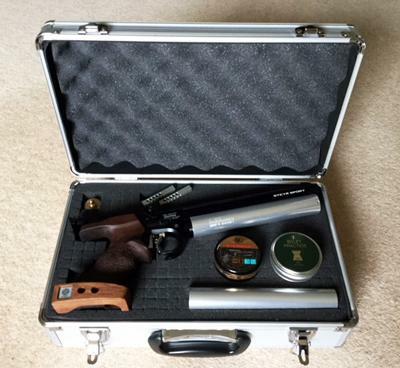 The Steyr LP50 Air Pistol is a popular product in the Air Pistol market, hence why it was very important for our customer to find a practical case for it, not only to protect it from scratches but to present it well. The C203 Aluminium Flight Case is one of our smaller cases which includes cubed foam which our customer has used to his advantage to keep smaller items in place and avoid crashing around the case during transportation. If you would rather a different colour to the silver finish, the C203 also comes in black (view product). Please click here to view all of our Flight & Hurricane Cases, alternatively, you can contact our Technical Product Specialist on 01992 455926.